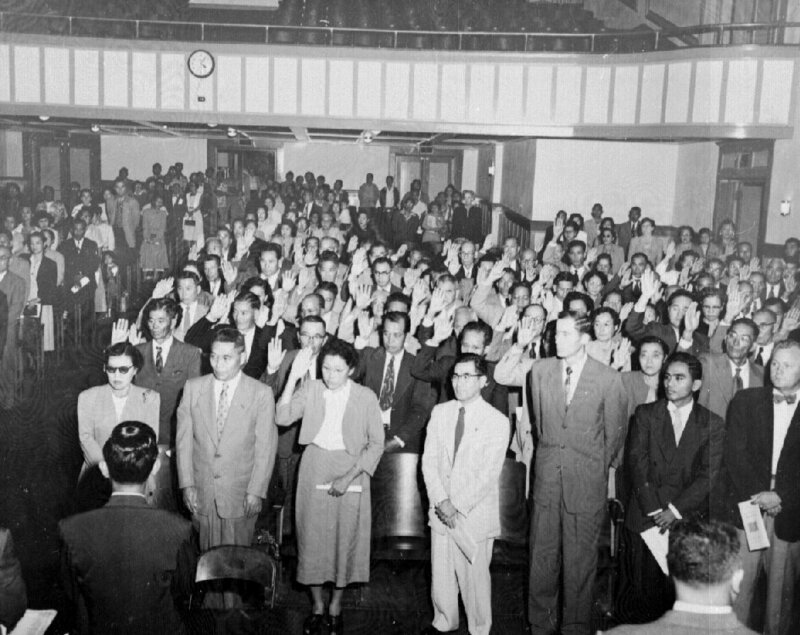 A large group of people in a room with right hand raised facing viewer as they swear oath for citizenship in Hilo, Hawaii. After the Walter McCarran Act allowed Asians to apply for citizenship, this is the first swearing in. This is one of the notable artifacts on display in "Common Ground: The Heart of Community", an ongoing exhibition of the Japanese American National Museum. yn — Atualizado em Mar 30 2011 7:59 p.m.